Children for Sathya Sai, established following Bhagawan’s guidance in 2015, brings together the alumni and alumnae across the many Sathya Sai educational institutions under one banner. First of its kind, this alumni organisation will help unite the many Sai students spread across the world, and draw upon their collective strength to further Bhagawan’s mission. 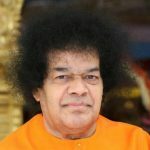 Bhagawan had always wanted His students – His sole property – to serve the society and enable rural uplift and transformation. Children for Sathya Sai is the stepping stone towards the fulfillment of this vision. He continues to make me feel special – by Bharani Prasad M. S.
He Makes us Feel Special – by Bharani Prasad M. S.